Back in early September I took a quick trip to Mexico City and came away as impressed as I was when I visited five years ago to write this story for BBC. I know it may sound crazy coming from someone who has traveled to a LOT of cities, but Mexico City is one of my favorite places in the world. Seriously. Go there, or talk to someone who has recently visited and you’ll find out why. I was all set to sit down and write this Trip Report when the earthquake struck Mexico City on September 19. According to my sources there, in the six weeks since the tragic 7.1 temblor, the city has quickly recovered and there is very little visible evidence of the disaster. Officials report that nearly all the big 3- to 5-star hotels used by business travelers are open and unscathed by the quake. And demand for hotel rooms has been remarkably resilient. Mexico City hotelier Michael Chiche told me, “It’s fair to say that the city is back to business as usual.” He said that most of the severe damage was in residential areas, but that the central touristic areas, including popular Polanco where his Las Alcobas hotel is located, are fine. As a matter of fact, hotel occupancy in the city dipped only 4.4% in the the third quarter of this year. Mexico City Tourism authorities report that the hotel occupancy rate is running at 86.4 percent, which is actually higher than this time last year. A crowd of 300,000 turned out for the Day of the Dead parade last Saturday. And the city just hosted the huge Formula 1 Grand Prix, which drew close to a million spectators. The NFL’s Oakland Raiders and New England Patriots will play in Mexico City on November 19th. The airport has been open and operational since the day after the quake. The big, bustling, diverse and fast-paced metropolis is moving on. In early September, I flew Alaska Airlines from San Francisco to Mexico City for Labor Day weekend. It had been about five years since my last visit, and once again, I came away impressed. 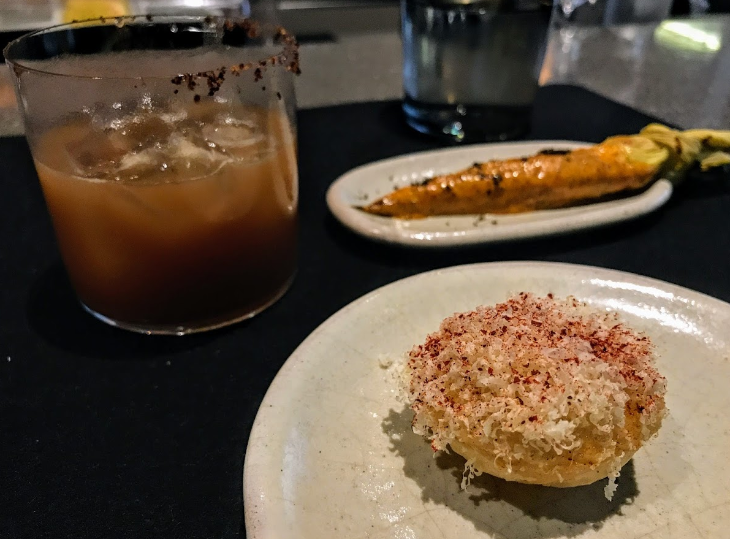 CDMX, as the city now refers to itself, has an incredibly diverse and sophisticated food scene. While there are few brand new hotels, the existing stock is impressive, continually updating and inexpensive— a quick scan of rates shows five-star hotels going for as little as $220 per night this fall and winter. It’s insanely busy and frenetic– since CDMX is the country’s capital city, financial center, technological & industrial heart, and its “Hollywood,” the city feels like a combination of New York, Washington and Los Angeles with a little chili pepper tossed in. 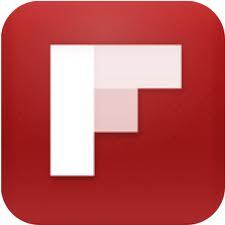 Getting around town is an inexpensive cinch now that Uber is there. And the downtown core is cleaner, and feels safer, than most U.S. cities I’ve visited recently. From the ride from airport to city, to my walks along the Paseo de la Reforma and the hip neighborhoods of Condesa, Roma, and Polanco, I saw almost no litter and few homeless, and I felt as safe or safer than walking around Union Square in San Francisco, Midtown Atlanta or Manhattan. To me, Mexico City felt like Europe without the jet lag, high prices and tourist throngs. 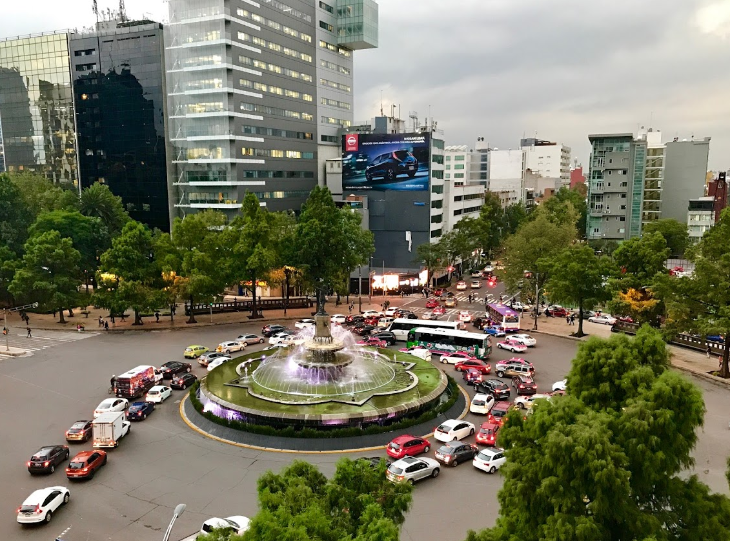 Most of the business travel scene takes place on the western side of the central core, where the action is in and around Polanco and the broad, tree-filled, European-style Paseo de La Reforma and Chapultepec Park. Take a stroll through this clean, green well-tended park and you’ll find yourself catching your breath since Mexico City lies at 7,200 feet above sea level. If you have time, see Chapultepec Castle where Maximiliano lived (I regrettably missed this due to a late start). 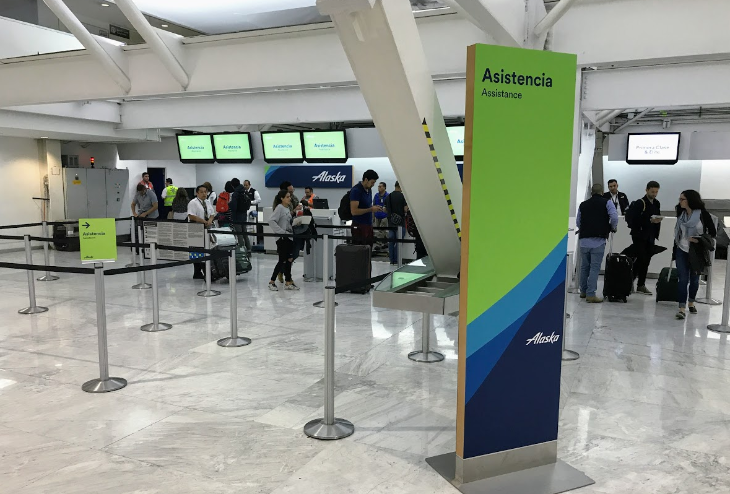 AIR: Nonstop flights between the US and Mexico City are proliferating, which means more flight choices and lower fares. San Francisco is a perfect example of that. As of last summer, there are four airlines serving SFO-MEX nonstop: Aeromexico, Alaska Air, United and Volaris. (San Jose recently announced new nonstops, too. Seattle did, too.) As a result of all that competition, round trip fares between the two cities have dipped as low as $225 round trip this fall and winter-– which makes a trip to Mexico City even more of a bargain than it already was. Checking today, I found roundtrip fares on Volaris, a Mexican discounter, at $224; other carriers are in the $300 range. I flew Alaska Airlines over Labor Day weekend when fares were about $350 round trip. First class fares are a relative bargain, too, at about $600 round trip (for a four-hour flight). Arrival, customs and immigration in Mexico City were easy and uneventful. Even with an Air France A380 from Paris unloading at the same time, we only spent about 20 minutes in the immigration line (there are no fast track lanes). 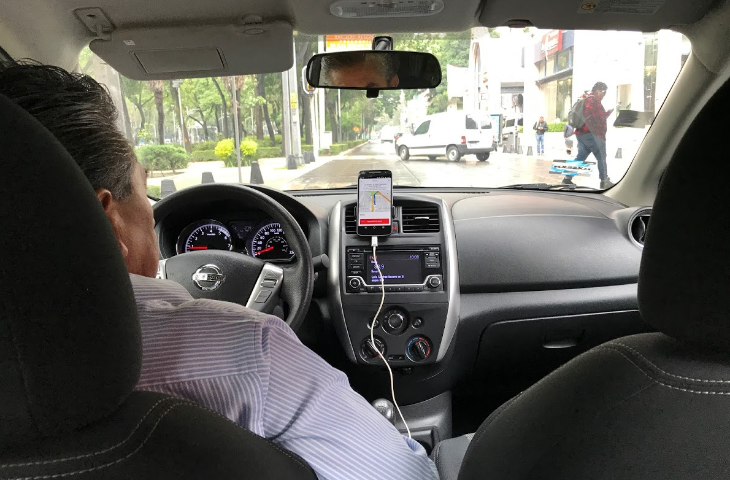 GROUND: Uber is cheap, easy, safe and plentiful in Mexico City. We never waited more than three minutes for a car. 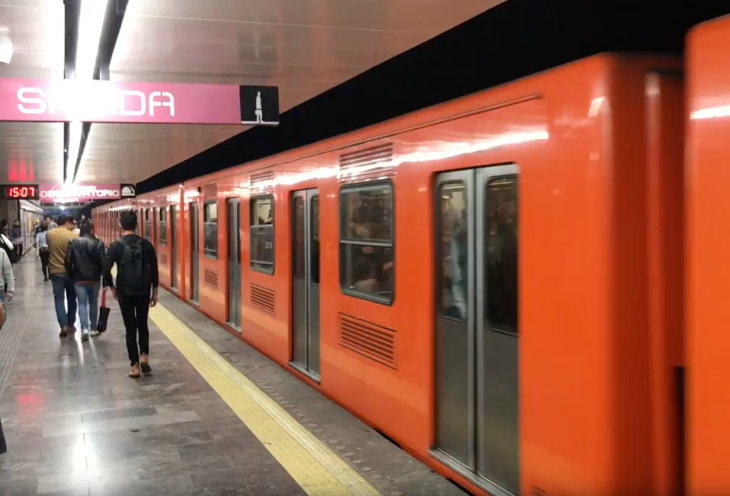 While Mexico City’s cheap-but-efficient Metro trains now run to the airport, it would be a challenge to take a comfortable ride with baggage since the trains are so jam packed. For airport runs, I recommend a car or taxi– just be aware of roadway rush hours– 8-10 am, 6:30 – 8:30 pm. UberX costs only about $12 for the ride from the airport to the city center; Uber Black is about $30. (Uber’s new tipping function does not work in Mexico.) Lyft does not operate in Mexico City. Since Uber was so easy, I did not use taxis at all. Most of our center-city rides cost less than $5. But I spent most of my time on foot– my Fitbit recorded a whopping 20,000 steps per day for the three days I was there. 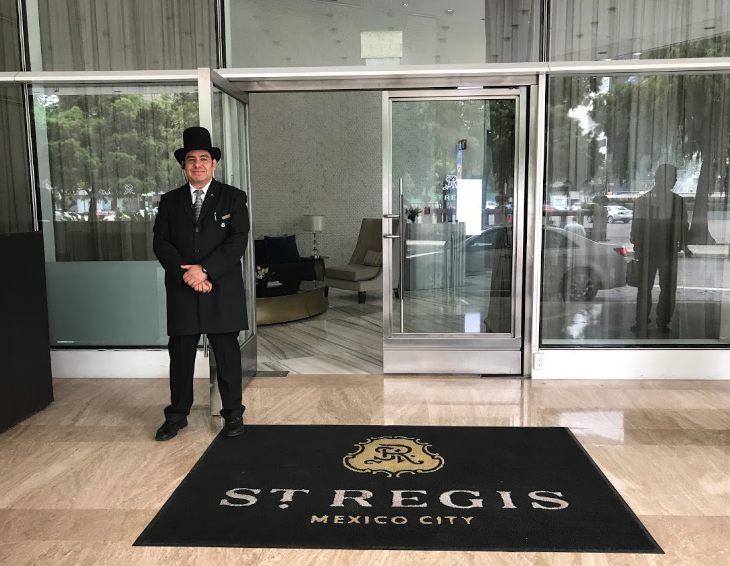 HOTELS: We stayed at the St Regis Mexico City on Paseo de la Reforma, where rates ran $290 per night. (Disclosure: I accepted a 50% off media rate.) The hotel is part of a gorgeous glass and steel residential tower with commanding views of the environs. Inside, it is swathed in rich marble and wood, spritzed with aromatherapy, decorated with fresh flowers and manned by a pleasant, professional staff. 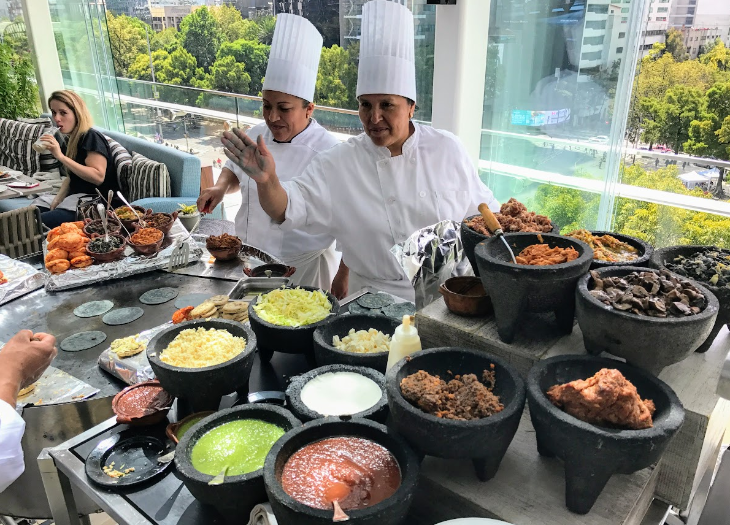 A brand new veranda overlooking a busy roundabout offers lots of fun, talented mixologists, and a see-and-be-scene among hotel guests and wealthy “Chilangos,” as Mexico City residents call themselves. 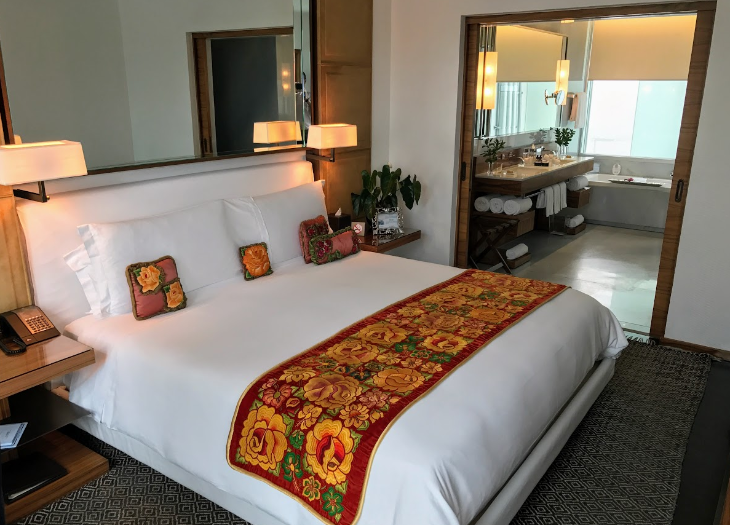 Rates start at around $250 per night—quite a deal for a property that regularly vies for the top spot among luxury hotels with Las Alcobas, an SPG-affiliated 35-room, 5-star gem located in the posh Polanco district on Avenida Masaryk—“the Rodeo Drive” of Mexico City. Note that since Mexico City is a huge business travel destination, upscale hotel rates are higher (sometimes much higher) on weekdays than on weekends. 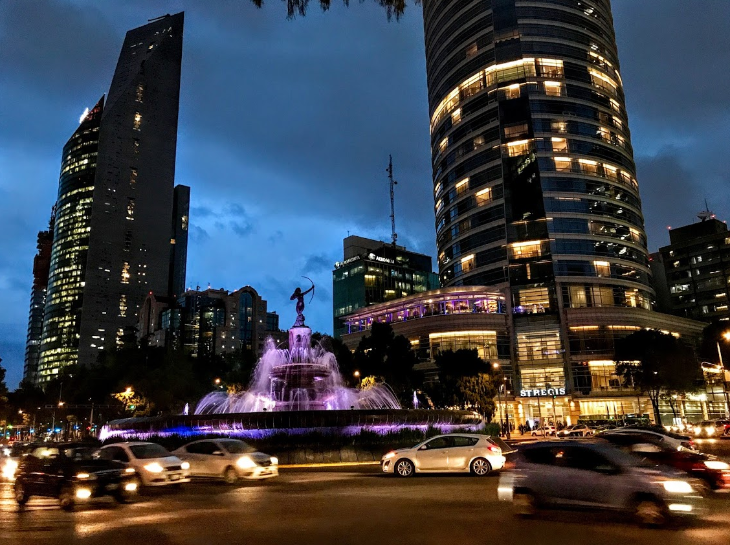 Most American business travelers stay nearby among the four giant hotels on the edge of Polanco overlooking Chapultepec Park–there you’ll find the InterContinental, W, Hyatt and JW Marriott. More adventurous travelers may choose to stay in the non-brand hotels in the hip neighborhoods of Roma or Condesa. (Regrettably, these older districts were saw more earthquake damage than newer areas like Polanco.) 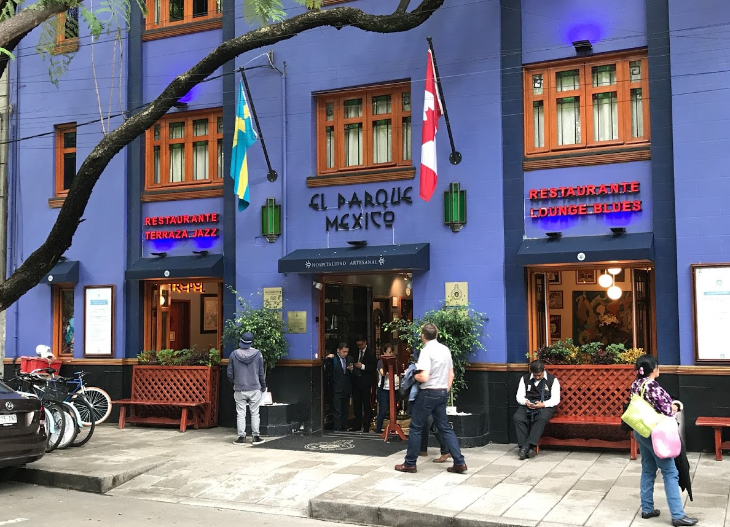 On one of my long walks, I ducked into the popular Condesa DF and the unusually beautiful El Parque Mexico (no in-room TV or A/C). Other popular smaller hotels: La Valise, Habita or the mod, colorful, mid-century modern El Camino Real Polanco. WEATHER: The “wet” season in Mexico runs from May to September, with a little rain expected every day. The dry season runs November to May with the warmest months of the year being April and May. Overall, due to the high altitude, the climate is cooler than you might expect. Also, with all those clouds scrubbing the air during rainy season, air pollution is not that bad during wet months (and in general, the air is much better than it use to be). It’s worse during the colder, drier winter months when there’s an inversion in the valley where the city lies. EATING AND DRINKING: Mexico City is one of the hottest foodie cities in the world now. The breadth and sophistication of the scene surprised me. The best meal I had in Mexico City was lunch at Contramar. Note: Lunch in Mexico starts late at 2 pm. When I arrived at 1 pm, the place was deserted. By the time I left Contramar at 3 pm it was packed. Reservations are required. 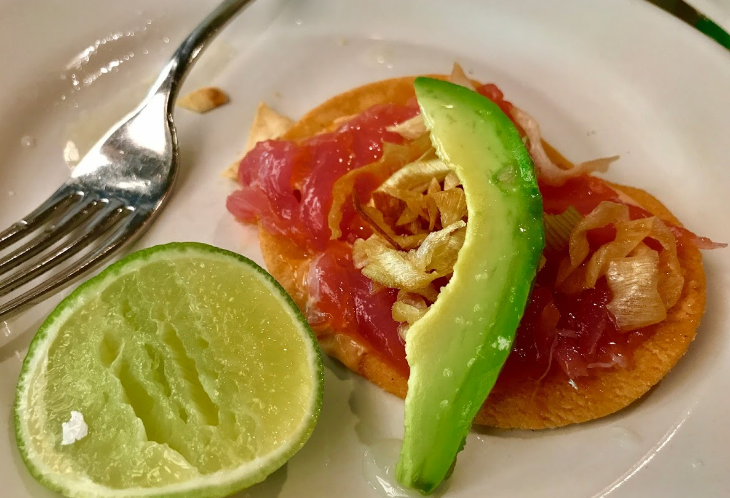 At my table we enjoyed a whole grilled red snapper with green and red salsa, but the best thing I ate on the entire trip was the tuna tostada with dried onions, lemony mayonnaise and a slice of avocado (See photo up top). After lunch I followed the lead of locals asked for a carajillo—a shot of coffee with Licor 43 and cream. If you miss out on Contramar, try Entremar, its sister restaurant on Polanco. 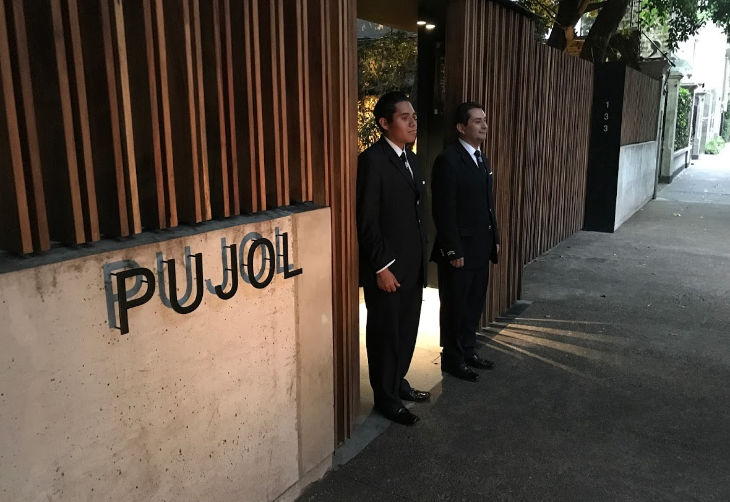 We also dined at the Omikase bar at the super hot and super expensive Pujol (see above). 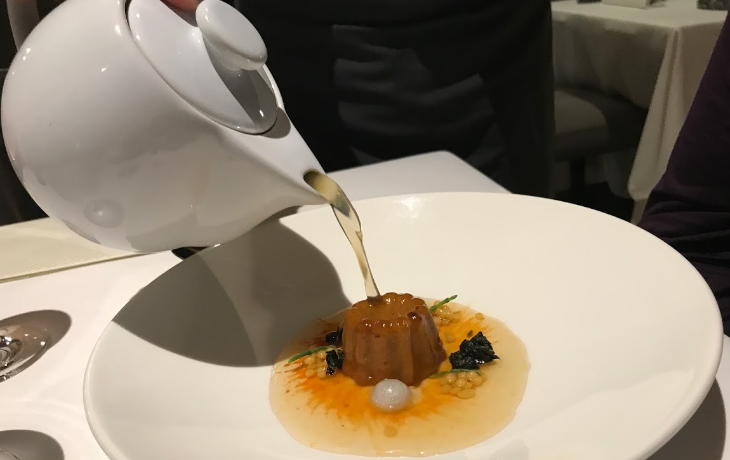 We ducked into the very upscale and modern Biko (in Polanco) where the focus is on the food– the small bites are plated to perfection, and the visual show on the table is magnified due to the cool gray drab interior. One of the most memorable meals was Sunday brunch on the big bright new veranda of the Restaurant Diana at the St Regis. The diverse spread is outstanding with multiple stations, lots of locals, big views off the new veranda and only about $45 per person without wine or champagne ($75 with). Dinner in the same space is an excellent choice for entertaining… a young talented chef turns out a diverse menu that blends local food and spices with European classics. Something I learned from a bartender at the St Regis: Chilangos don’t drink margaritas— they are considered a beach drink. 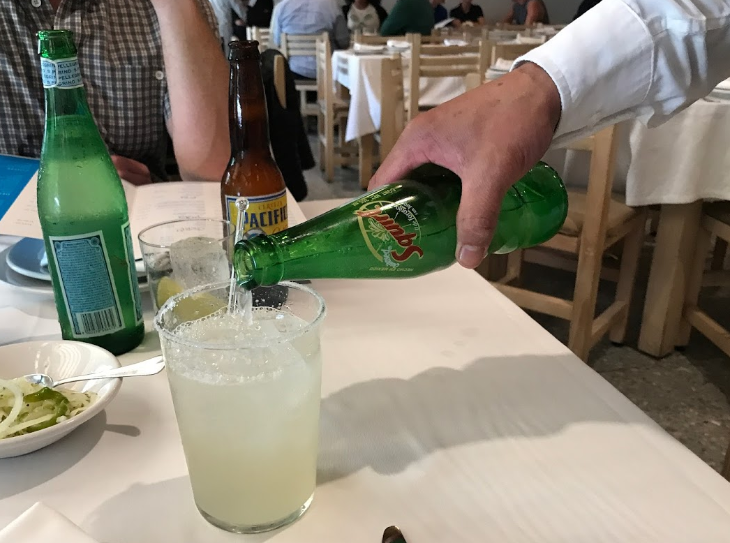 The most popular drink in town is the paloma, a combination of tequila and lime juice topped off with a grapefruit soda like Squirt or Fresca. Check out my video of a Mexico City taco-making master as he shows off his talents. 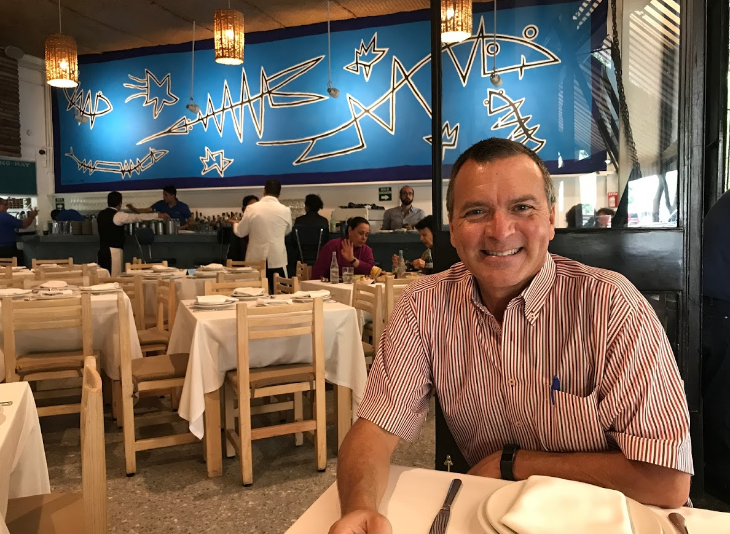 A word about street food: Having had my bouts with Montezuma’s Revenge in previous trips to Mexico, I admit I was at first hesitant to try street food in Mexico City, but I ended up giving in with no ill effects. Best advice: Ask locals where THEY eat off the street and go there. Or look for long lines and lots of steam at the many taco stands. Ask around and you’ll find out where to go. MONEY: Mexico City is always a nice bargain for Americans, and it’s recently become even more of one as the dollar has strengthened against the peso, reaching nearly 20 pesos per US dollar in recent weeks. Combine that with inexpensive 4-5 star hotels, reasonably priced dining and cheap airfare. LAY OF THE LAND: See a map of Mexico City here. The city is laid out east-west along the Paseo de la Reforma as its spine. On the western edge of the city is the new Santa Fe enclave of office towers, luxury hotels and shopping malls. A lot of US companies have set up shop in Santa Fe. Its distance from the central city and traffic issues (it can take over a hour to get there by Uber in bad traffic) make it a nice upscale island, but does not feel much like Mexico. Moving east, you’ll find the trendy Polanco district, “the Beverly Hills” of Mexico City. This is where the city’s corporate, governmental and diplomatic elite hang out and/or reside. It’s also where you’ll find the trendiest restaurants, late night bars, and exuberant youth. It’s also an excellent place for a stroll with several stops at the many outdoor cafes. Next up along “el Paseo” is Chapultepec Park and a series of European style roundabouts adorned with fountains and gleaming gold statues. 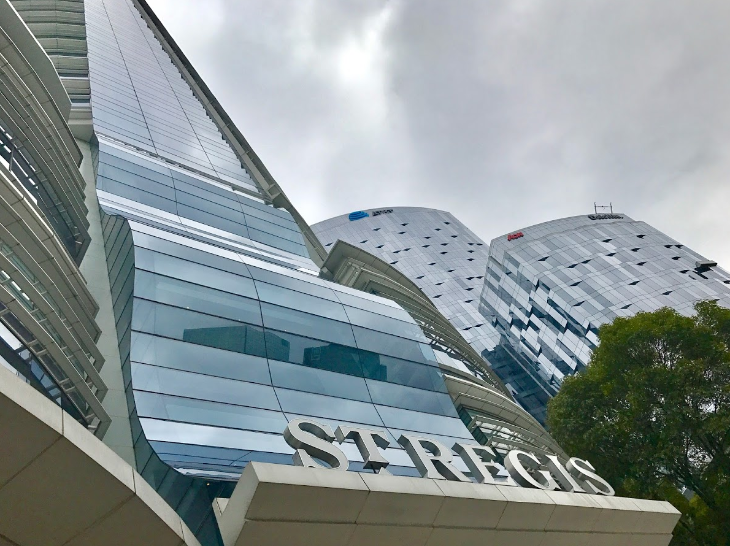 It’s where you’ll find the newest, tallest skyscrapers and nicest hotels like the St. Regis, the Four Seasons and a new Ritz-Carlton coming in 2019. On the southern side of the Paseo are the hip neighborhoods of Roma and Condesa where you’ll find the best bars, outdoor cafes and younger, hipper set. Continue on to the east and you’ll find the Centro Historico—the old center of town. Here you’ll find the statues, cathedrals, plazas and monuments of a 500-year-old capital city. It’s definitely worth seeing, but there’s not a lot of business taking place there. 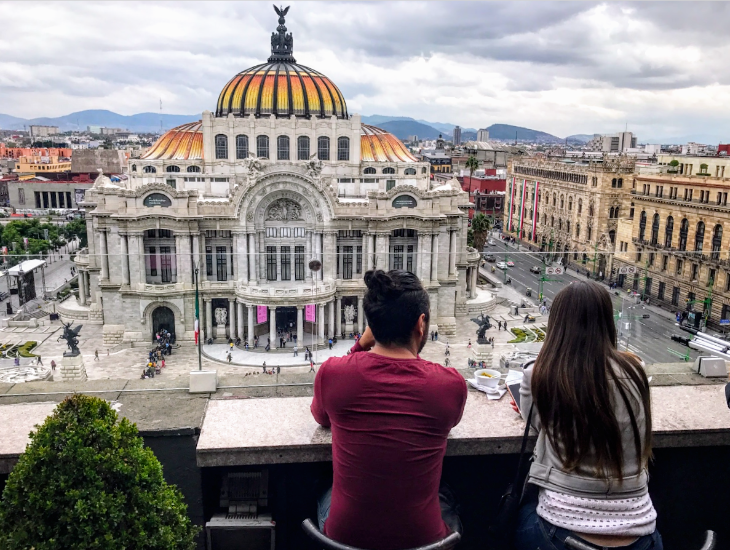 If you have time, be sure to saunter into the Sears Department store across the street from the spectacular Bellas Artes, go up to the 8th floor for a cup of coffee and a view that will blow you away (See above). And about 20-30 minutes east of that is Benito Juarez International. And beyond that is the massive NEW Mexico City airport that has already broken ground. The first phase is expected to open around 2020. Have you been to Mexico City lately? Would you consider a trip there? Please leave your comments below. Disclosure: I covered all expenses for this trip except for a special 50% off media rate from the St Regis Mexico City. CDMX Travel paid for my airfare on Alaska Airlines.